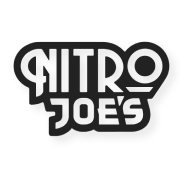 Nitro Joe’s was founded with innovation and high-quality products at the forefront. In the fast-paced world we live in, we don’t have time to wait for that much-needed caffeine boost. Our idea was to create a coffee for people on the go – one that could keep up, not slow you down! The coffee world is constantly changing, and we are staying ahead of the game. We are constantly exploring new ideas and creating additional beverages that keep cold-brew lovers coming back for more!